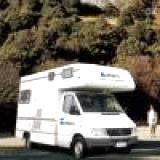 Ideal motorhome for a family of four or two couples. Generous, high quality vehicle. An ideal vehicle for a couple and their two young children. 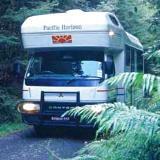 Perfect for the family of four or a couple who prefer extra space, the Kiwi 4 berth is the ideal vehicle for taking you in and around New Zealand’s magnificent landscapes in luxurious comfort. 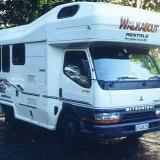 A spacious deluxe 4 berth Mitsubishi motorhome, with a choice of a rear king bed (or two singles) and a top double bed. Fully self contained with shower and toilet. 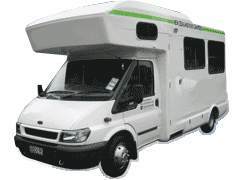 A spacious 4-5 berth Transit motorhome with a choice of 2 double beds or 1 Queen and 2 singles. Fully self contained with shower and toilet. 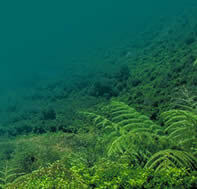 Easy to drive and explore the magnificent beauty of NZ. The Quattro is ideal for a family or group of friends. Includes onboard shower and toilet. 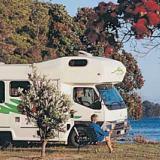 With a campervan you get to travel right into the heart of New Zealand and have an unforgettable experience. 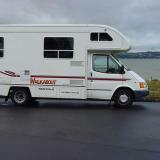 United offers a 4 Berth Motorhome with shower and toilet. 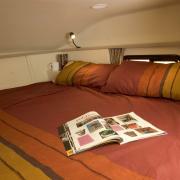 This Motorhome offers comfortable living and sleeping space for four adults. (2 double beds or 1 kingsize bed/2 singles). Perfect for couples who prefer to really stretch out also enjoy the luxury of extra space.